Do you want to get further with your genealogy research? Well then the Legacy Family Tree Webinars is a great way for you to learn about this exciting hobby and to put what you have learned into practice. In this post I will give an unbiased view of these webinars and show you how you can benefit from them. Before you continue to read this review you may like to first watch this short video. It explains how the webinars site has been re-designed using the latest web technologies. It goes through all the features and tools that you can expect to use on the site. When you sign up to the Legacy Family Tree Webinars you will get the same benefits whether you decide on the monthly or yearly membership. Obviously this will mean that you will be able to access these benefits for only a month or 12 months. At present these are the only two levels of memberships that you can sign up to. However, if you aren’t sure to sign up just yet then you can take the 7-day free trial. What’s the 7-Day Free Trial about? 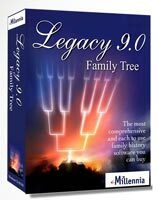 Legacy Family Tree Webinars does offer you the chance to check out the videos for free for 7 days as I have already mentioned. During that time you will have unlimited access to the recorded webinars. However, during this trial period you will not have access to the handouts from the instructors. Even though you cannot access these notes this trial is a great way to see if you want to commit to a monthly or even a yearly membership. And the trial is FREE, so you’re not really wasting any money, (only your time, maybe). There are 550 classes or videos for you to choose from. These are presented to you by 147 different genealogists who are very keen to help you with all sorts of aspects of family history research. Two of the presenters are very renowned genealogists who each have their own website whether they offer help. There is Lisa Louise Cooke who does her own podcasts and has 10 classes available on this platform. Then there is Amy Johnson Crow who offers her professional services and at present has 3 webinar classes. Check out upcoming live webinars and what’s been added to the library! As you scroll down the main page of the site you will see all of the upcoming webinars that you can register to watch. Registration is free, you just need to have a monthly or yearly membership, (unless you’re on a free trial). Below these videos is a listing of the latest videos that have been added to the Webinar Library. From here you can choose to find a class by date, category or who the class was presented by. And as I pointed out earlier there at present 550 different classes for you to choose from. Another way to check out the library is to click on the ‘Browse the Library‘ button at the top left of the main page. You have two options to select from, either ‘Presenters‘ or ‘Categories‘. Presenters are listed alphabetically by surname. Once you have selected your desired Presenters then a list of their classes will pop up for you. You may though want to find and download a class relating to a particular aspect or category of genealogy. Using this search function is similar to finding classes conducted by your favorite presenter. Currently 550 classes in the library! OK so I’ve said that there are 550 classes to you can choose from. And these classes amount to 755 hours of content to watch. Each of these classes is assigned to a particular category and there are 17 different categories for you to choose from. The categories can be seen in the picture below. Register for an upcoming live webinar! Registering for a webinar is free, (you only pay for your membership). The process is fairly straight forward, you just click on the ‘Register (Free)‘ button. If you are not sure that you have already registered for the class then you can click on the link below labeled ‘Have I already registered?‘. You will then sign in with your email and password. If you haven’t already signed up for the webinar then it will give you the option to do so. Add videos to a playlist! One great thing that I like about Legacy Family Tree Webinars is that you can add videos to a playlist. So, you just select which ones that you want to watch and watch them whenever you can. And another cool thing about your playlist is that you can resume wherever you left off during a class. This is great for me because if I get interrupted with a video then I can easily come back to it when I can and continue with the class. Each of the videos are divided into sections which are all titled. This means that you can go to the relevant part of a video that you desire. So, if something within the class is not relevant to you, (for whatever reason), then you can easily skip to the next section. My principal advice is to try the one month membership before you commit to the annual level. When you first sign up to Legacy Family Tree Webinars you do get the 7-Day Free Trial as I have just mentioned, so you do get a taster of what to expect. But with a monthly membership you get access to bonus material and a chance to win a prize. When you have one week remaining on your membership you will be sent a reminder notice. Pay attention to your inbox for this email as your membership will be auto-renewed if you do not act. But if you are happy with your webinar package then there is no need to worry. The membership fee at the point of renewal may be higher or lower when you initially signed up. You can easily upgrade your membership at anytime if you wish! How do you cancel your membership then? If for any reason you decide that the webinars package is not for you then you can cancel at anytime. Just login to your account and head over to the Subscriptions section. From there you will need to click on the Delete link next to your level of membership. Once you have clicked on the Delete link then your subscription is cancelled immediately. However, no partial refunds are given meaning if you have a few days or a few months then you will not be reimbursed for them. At this point I must explain the terms and conditions of the material that you have access to. It’s a ‘bit boring’ but I feel it is important to explain it to you now. Under the terms and conditions you are not purchasing the rights to the material or copyright. You are only paying for the right to view the videos. You are not permitted to distribute or duplicate the materials that you have access to. Also, you are not allowed to store the material on a network on the Internet. Violating any of these conditions will mean that your membership will be revoked! When it comes to any product or service there are always some drawbacks with them. It is only right therefore that I point them out to you. I must stress though that the drawbacks that I have found are only small gripes. Overall I have found that the webinars do offer you so much for your money and it can help you immensely with your genealogy research. When you have so many classes available to you at your fingertips it can be quite overwhelming. So, with that in mind just focus yourself and pick which topics you are interested in. If you are a beginner then choose the Beginners section. If you want more information on DNA testing then check out the DNA section. Logged in at checkout to get benefits! A simple mistake to make. 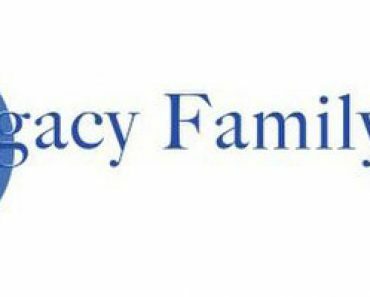 So, remember whenever you visit the Legacy Family Tree Store remember to login before you check what is available and make a purchase. Failing to do so will mean that you will not be able to take advantage of the 5% off any product that members are granted. I have mentioned that the auto-renewal process can be a benefit. But it can be a drawback if you are not happy with it. So, pay attention to your inbox because if you do not act and cancel your subscription then you may unwittingly be paying for an extra month or even one more year of webinars. When it comes to genealogy we all need a helping hand. I know that when I first started to trace my family history I initially didn’t know where to look. And then when I found a source of information that I could use I wasn’t particularly familiar with it to get the most from it. These classes are a great way for you to get valuable insights into the world of genealogy from the experts. I really like how Legacy offer you a free trial so you can see what the classes have to offer. The absence of handouts in this trial is a little niggle I grant you but it’s a great introduction nonetheless. And if you’re still not sure about signing up for a year then the monthly package is perfect. As I have mentioned in this post there are so many classes that are spread over numerous categories. And all of these classes are presented by experts in the genealogy field. So, you know that the advice that you are getting will be really valuable to you. There are many glowing testimonials which you can find on their website. Anyway, try this if you like. I really do hope that it makes a difference to your research and that you get so much out of this. If you decide to check out this useful resource then please come back and let me know what you think of it. I would love to hear from you. Watch Genealogy Classes And Get Help! 100s of videos to choose from! I hope you enjoyed this post reviewing Legacy Family Tree Webinars. If you have any questions or comments then please leave a comment below. Awesome site, definitely made me understand services offered and intriguing videos. The layout of the webinar site is beautiful. I am just amazed as to how many videos that you have access to. I am just beginning to trace my family history so will be checking out the Beginners class for sure. That’s great to hear Nino. Yes you do get a lot of the classes, so much that a monthly membership wouldn’t get you far, (especially if you have a busy family life and work as well). It therefore takes time to get through these classes and a yearly membership is best for me. How can we trust that the information being presented on A Legacy Family Tree Webinars is accurate? I want to find valuable information on my family history, however I just want to make sure the information I’m being presented with is accurate and not made up for sake of selling. Hi there Aaron, a very good question indeed. Firstly there are several renowned genealogists who have presented classes. If it was nothing more than a money making enterprise then I highly doubt that they would want to lend their name to it. Secondly the price is definitely not exorbitant. In my opinion you do get value for money. And if you don’t want to go for either of the two levels to begin with then you can always try the 7-day free trial to see what it’s all about and make your opinion from that. You’ve given me food for thought on a topic I revisit every once in a while. 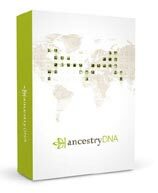 The volume of available material (classes) makes me think that this could be a viable and useful tool for anyone who wants to dig into their family history and be effective at it. It certainly is a viable resource Janet. You get so many videos that are spread over many different aspects of genealogy. So if you want to know more about DNA you can learn about that, or get help with organizing your notes and research. There is just so much for you to choose from. I do suggest though to try it for free or if you’re willing to give I think a give then try the monthly membership first before you commit to the annual membership.